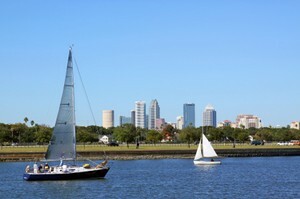 Waterfront living is one of the reasons that many people choose to live in the Tampa Bay area. While we do not have oceanfront property, the Tampa Bay area does have beautiful rivers, lakes, bays, and the Gulf of Mexico! If you are looking for riverfront property, the beautiful Hillsborough River runs through Tampa. There are homes for sale on or near the Hillsborough River. The Alafia River and the Little Manatee River also run through Hillsborough County if you are looking for a riverfront home. Then of course, there are the bays. Hillsborough Bay, Old Tampa Bay, and Tampa Bay all provide opportunities for waterfront living and beautiful Florida views. 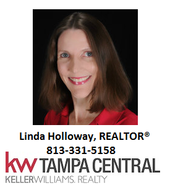 In addition to the rivers and bays, Hillsborough County has numerous ponds, canals, and lakes if you are looking for lakefront homes for sale. If your idea of waterfront living is to kick off your shoes and walk to the beach, homes on or near the Gulf Beaches are for you! Pinellas County also offers neighborhoods with homes on lakes, canals, and ponds for sale. Whether you are looking for a river, bay, lake, or beach, there is waterfront living and a Tampa Bay lifestyle waiting for you!